I utterly failed at making a cheesecake last night. 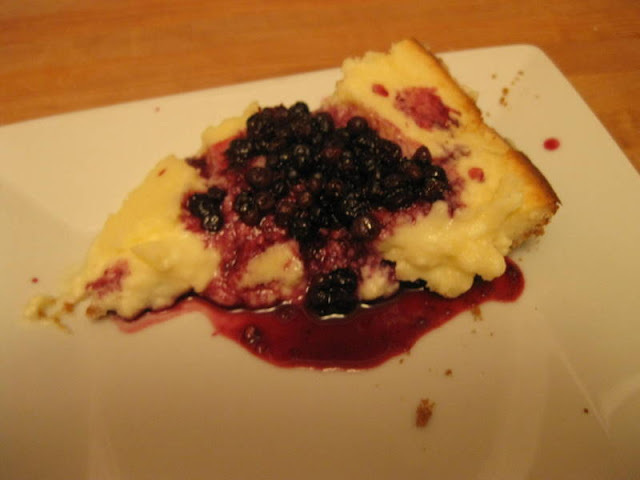 And this is the most simple incarnation of a cheesecake out there. Simple, but delicious, you'd like to think it's impossible to mess up. But I found a way. 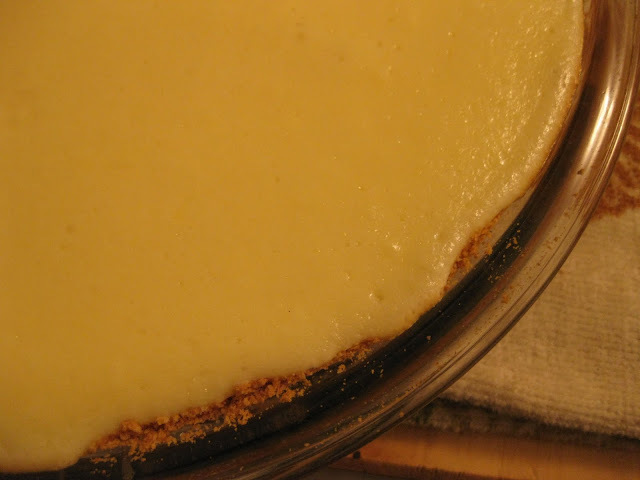 It was more of a cheesecake custard, despite being baked for 40 minutes. I am still at a loss to explain how I messed it up- I've even made it before! I guess there are worse things than having an excuse to make another cheesecake. Crush 1 package of graham crackers. Mix with 1/2 stick of melted butter and sugar to taste. Press into pie dish. Mix ingredients together and bake at 350 for 25 min or until set & golden brown on top. I realize there are lots of ways to make cheesecake, but does any one see anything inherently wrong with this recipe? I've made it before and it worked great! I think December food fails are just waiting for us out there to make the month a bit more challening! I bet it still tasted good. oh man cake fail. You just had to keep it in the oven longer! cheesecakes take a lonnnnng time to cook. I think I've had mine in there for 1 hr 10 minutes before! it's hard to imagine cheesecake tasting bad, no matter what consistency it is!